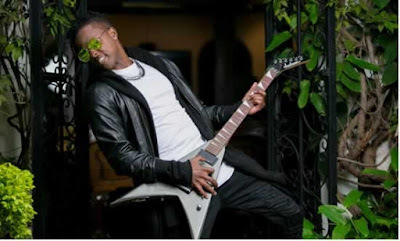 Kagwe Mungai is a singer, songwriter and song producer who has been in the Kenyan music scene since 2012 when he released his EP "It Only Gets Better". The EP featured songs and self -produced videos for Marry You and Oleku Cover. This cover was selected as one of the top 5 Kenyan covers that year. He has a number of hits under his belt with the latest release being Hot This Year (released January 2016), a collaborative effort between himself and Kenyan female rapper and entrepreneur Muthoni Drummer Queen. Other hits under his belt include Biggest Fan, Creeper, Bad Girls, Give It To Me (featuring Rabbit King Kaka). Since 2012, he has collaborated with Kenyan artists such as Wyre, FenaGitu, Madtraxx and more. As a producer he has worked with Vanessa Mdee (TZ), Neymar (Mozambique), Eva Alordiah (NG), Blinky Bill (Just A Band), Rabbit King Kaka, Muthoni Drummer Queen, Eric Wainaina, Miss Karun (Cosmic Homies), Kristoff, Shaa (TZ), Jackie Chandiru (UG) and more. As the producer behind Nishike, KagweMungai's exemplary skills were awarded when Sauti Sol won MTV Europe Awards for Best African Song. Being a fashion forward artist, Kagwe was nominated for Glamour Awards Best Dressed Male Artist in 2015 as well as Peoples Choice Awards (Best Dressed Male). Kagwe has been an independent artist throughout. In a bid to take his career to the next level, he sought the professionalism and knowledge that is found at Taurus Group (Musik) with regards to music/artist management and events with the aim of becoming more of a star and a household name. Impressed with his background and skill, Taurus Musik signed KagweMungai making the official announcement today, May 27th, across all media with the support of social media. The invite only unveiling party with the theme #NewBeginning will be done on June 3rd at an exclusive spot to be communicated soon.